Welcome Funds takes consumer privacy & data security seriously. All client documents & data are transferred to our National Buyer Network via our secured technology platform called PolicyTrac. In an effort to ensure privacy of consumer data, Welcome Funds will now provide, at no cost, a platform for ALL of the firm?s independent distribution channels to submit cases in a secured environment. 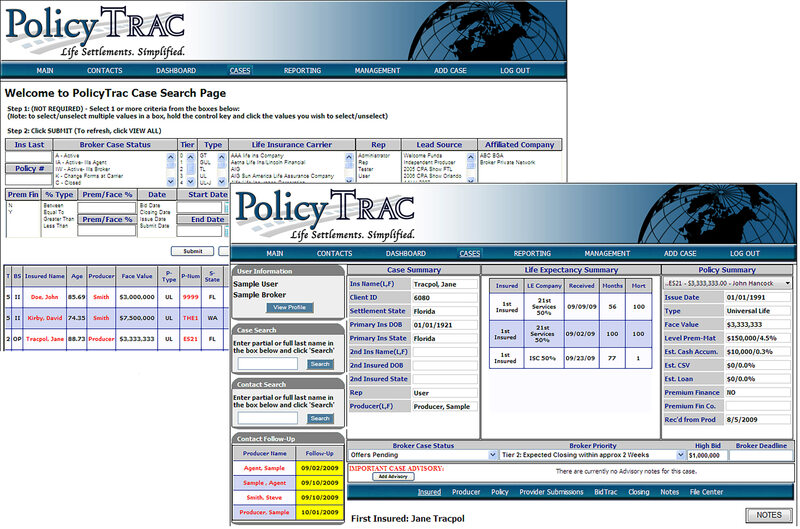 Currently, Welcome Funds delivers case data to life settlement providers via PolicyTrac®, a secure web-based platform. With this announcement, Welcome Funds is among the first life settlement companies to provide end-to-end data security throughout the settlement lifecycle. PolicyTrac® is the first and only secure online business operating system dedicated to the secondary market for life insurance. The technology standardizes, streamlines and simplifies the life settlement marketplace via a user-friendly platform, enabling members to manage their day-to-day activities and transfer vital case data and communications via a fast, efficient and secure system. It reshapes and redefines the way the life settlement industry conducts business, channeling activity in one centralized hub. Click here for more information, demonstration requests, or to contact a PolicyTrac® representative. Welcome to the future of life settlements.